They went into the soil of the upper vegetable garden (which is drier and warmer than the lower garden where I'd put the sets last year) on April the 14th. The bed has required a lot of weeding, as onions don't block out much light to suppress weeds, but that would have been the case if I'd grown them from sets, too. I'm really pleased with the way they've come on. I pulled the first onion yesterday and most of these will go into winter storage in the cellar. I hope that it will be a while before I have to buy any in the stores. I'll definitely be growing onions from seed again next year - it wasn't nearly as hard as I'd thought it would be. Hi Amanda! 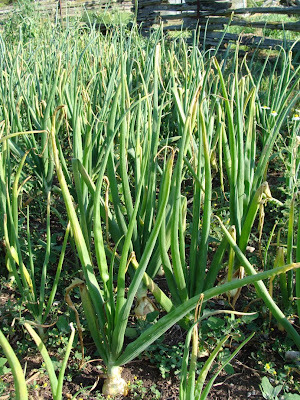 I never tried to grow onions from seeds. I think I might try it next year. 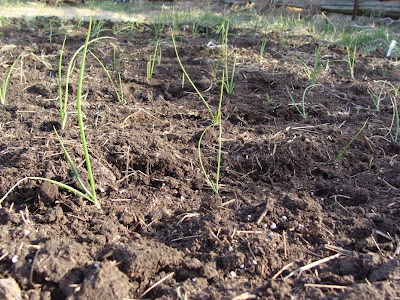 I decided this past week to grow onions from seed as well this Fall. Thanks for the extra encouragement, and they look great! 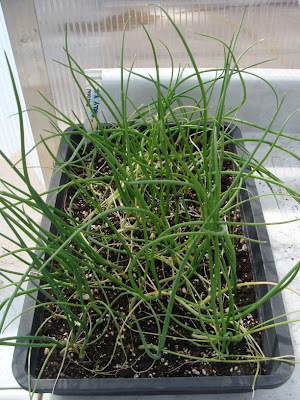 Thanks for letting us know growing onions from seed isn't that hard. I can't find sets here in the fall, but I can find seeds in the spring. Next year, I'll give it a try.